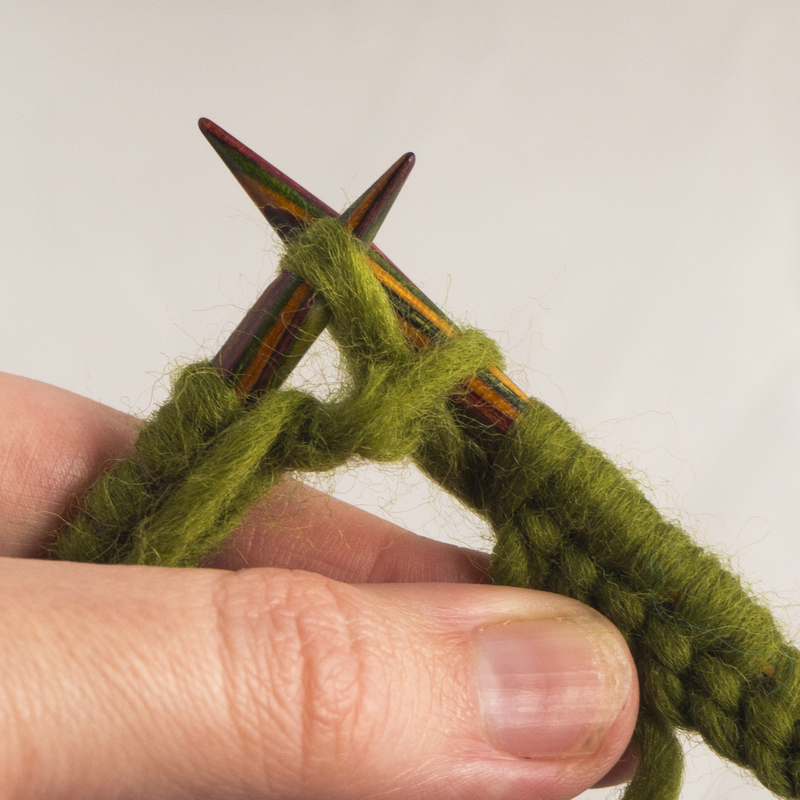 While some people might say “Well, you just start knitting”, what this is really about is starting neatly in the round without ending up with a ladder or stretched stitch at the beginning. This is something that can happen if you just start your first round by simply working into the first cast on stitch and it can make people think they haven’t got the hand of working in the round. There are various ways solve this problem, but the following is one that works with most cast ons you are likely to be using. 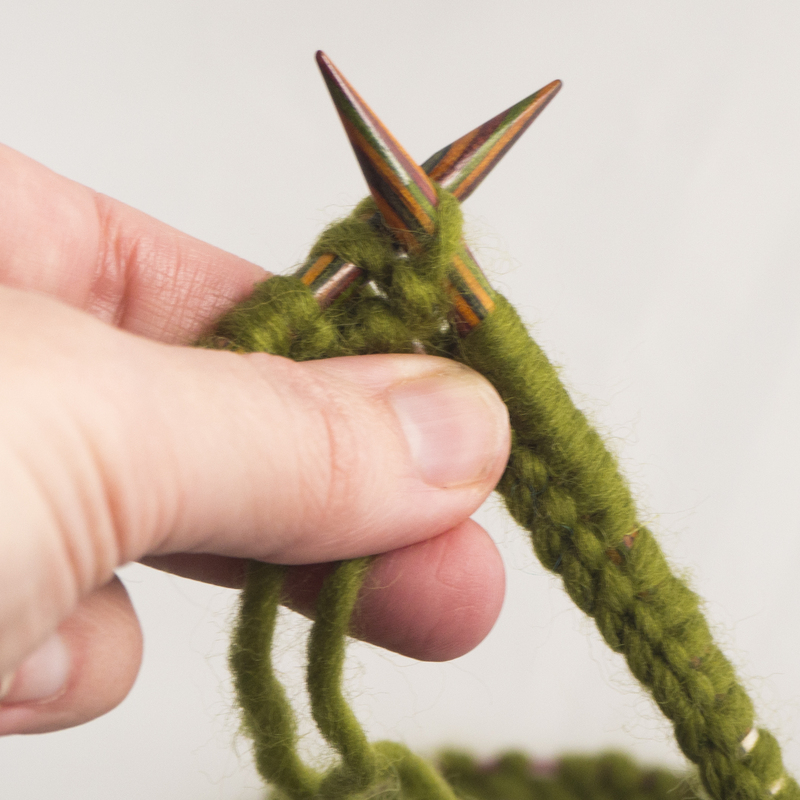 This will work regardless of whether you are using double-pointed or circular needles. Step 1: When you have cast on sufficient stitches, arrange them round your needle(s) making sure that your stitches aren’t twisted. By this I mean, the cast on edge should be on the same side of the needle throughout. One way to do this is to put your work on a table, arrange your needle(s) in a circle and check that the cast on edge is on the inside of the circle all the way round. Step 2: Once your stitches are arranged, you are ready to join your circle. Slip the last cast on stitch from the right hand needle tip to the left. Step 3: Pass the first cast on stitch over the slipped stitch and on to the right hand needle. 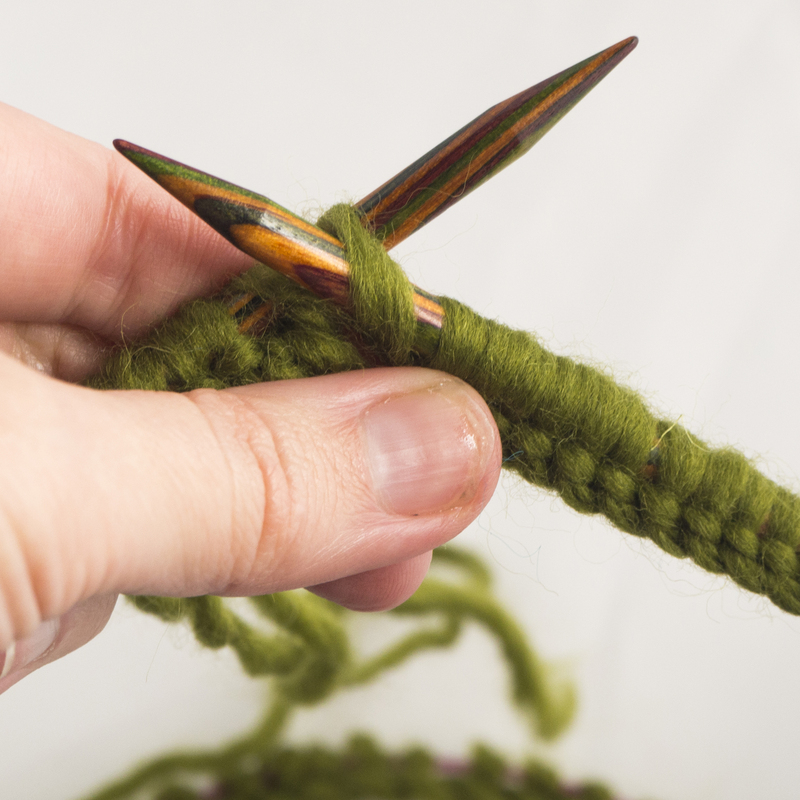 You have now swapped the first and last stitches between needles and linked the two stitches. 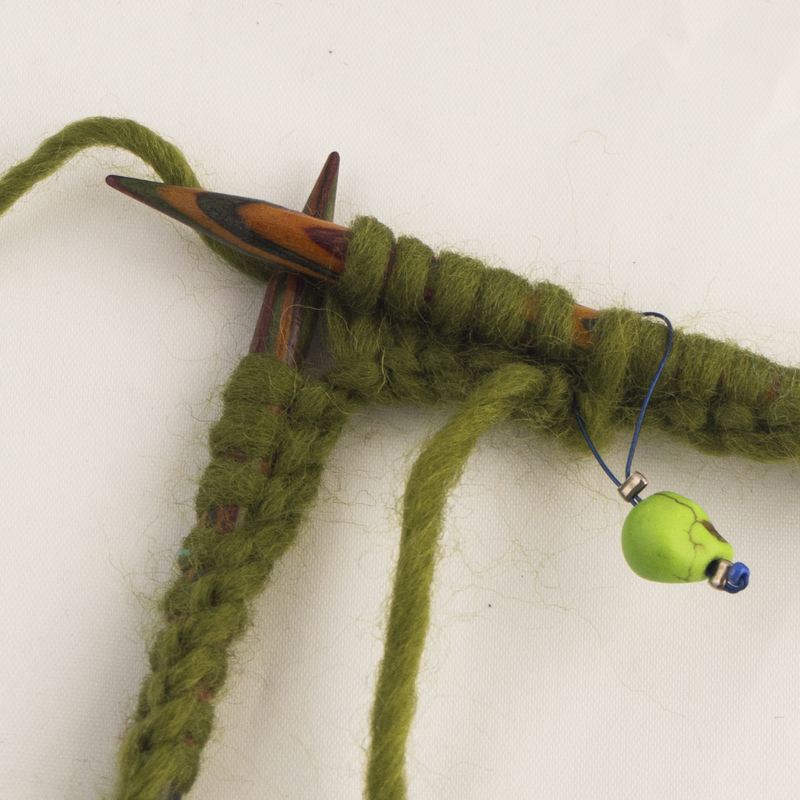 Step 4: Place a marker for the start of round and begin knitting normally. Whenever I knit something in the round, having cast on I first knit a row as if I was going to knit flat and then make the join at the start of the next round. I particularly like to do this if I used a long-tail cast on, as the appearance on the reverse is much more pleasing, and you’re less likely to have to cope with a stretched stitch. When finishing, it only means an extra stitch or two when weaving in the cast-on tail. Hoping to pluck up courage to knit in the round this year. Thanks for the very clear tip.